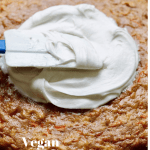 Home » Vegan Cream Cheese Frosting – Sweet, Tangy & Pipable! In a medium bowl, with your hand mixer on low speed cream the butter, cream cheese, vanilla and lemon juice until smooth (30-60 seconds) Next add in the powdered sugar 1/2 a cup at a time. Blend until smooth. Refrigerate until read to use. 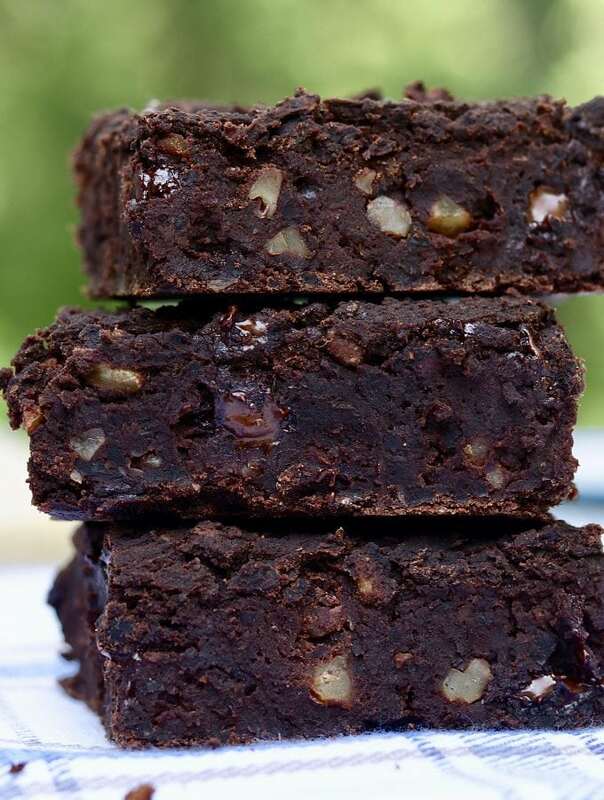 Enjoy with your favourite cakes, cupcakes, cinnamon buns, cookies,…etc. 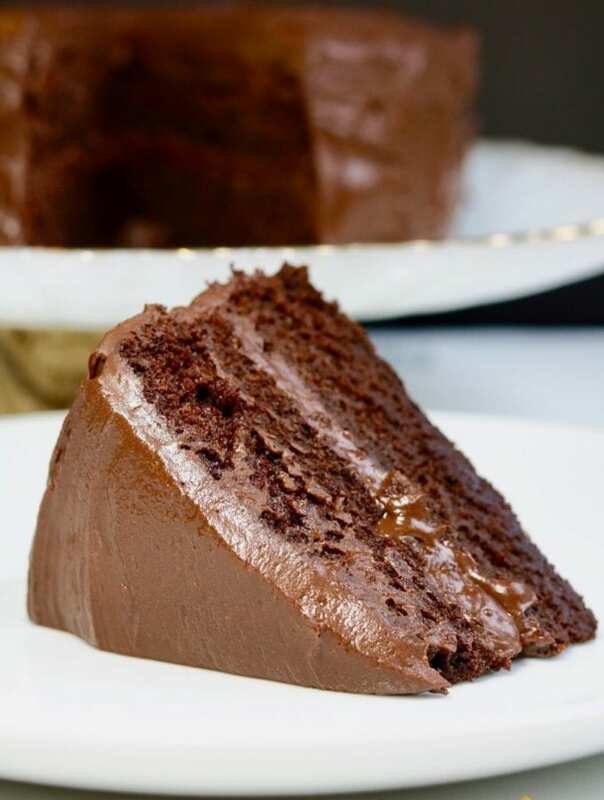 Frosting should be stored in the fridge and will keep up to 5 days. 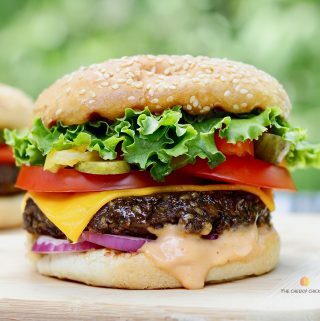 For full recipe ingredients and instructions see recipe card below. 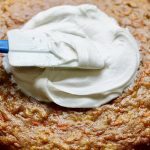 What’s the best cream cheese to use for vegan cream cheese frosting? 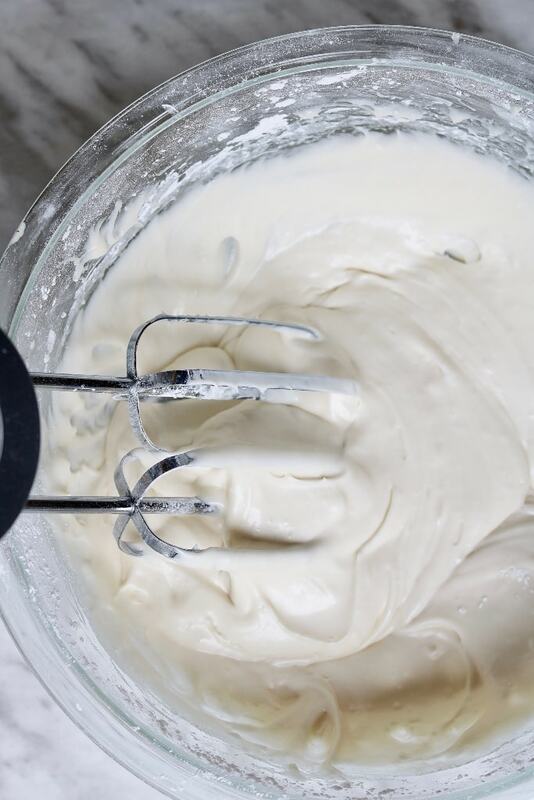 I make my frosting using Daiya cream cheese. It has the best flavour and the price is right! Tofutti and Kite Hill brands are also great choices. Just make sure to drain any excess moisture from cream cheese container before using, if necessary. 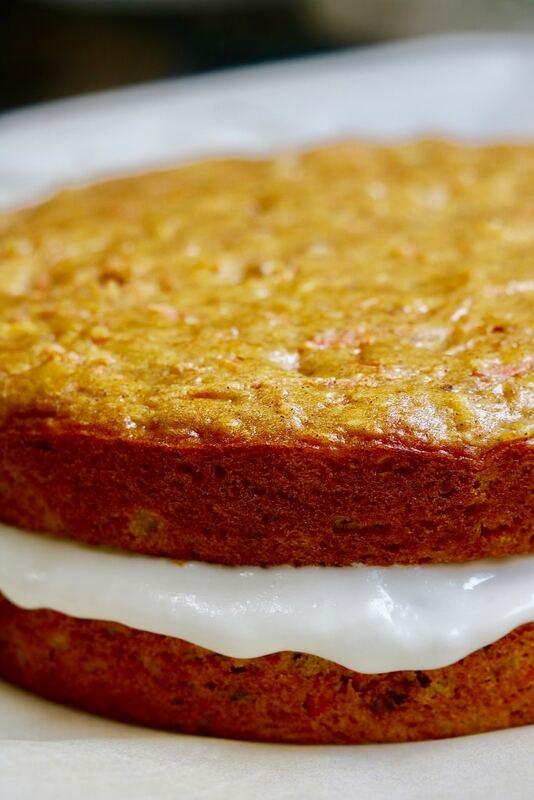 What vegan butter should I use for vegan cream cheese frosting? 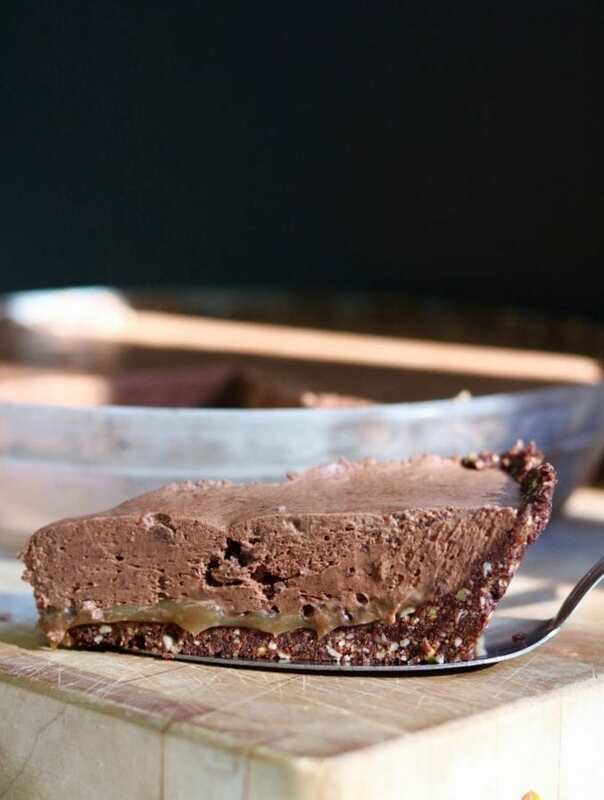 I use earth balance butter sticks for this recipe, not the spreadable kind in the tub. Margarine sticks work great also. Is vegan cream cheese pipeable? Absolutely! After making the frosting refrigerate for at least 30 minutes so it firms up, add to your piping bag and you’re ready to go! 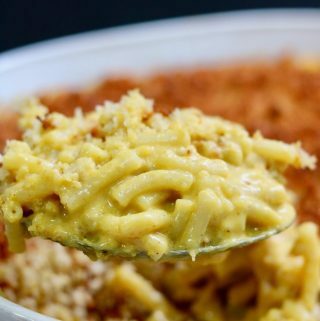 Should the butter and cream cheese be at room temperature before using? I use mine straight from the fridge and they work just fine. Help! My Frosting is not thick enough what do I do? 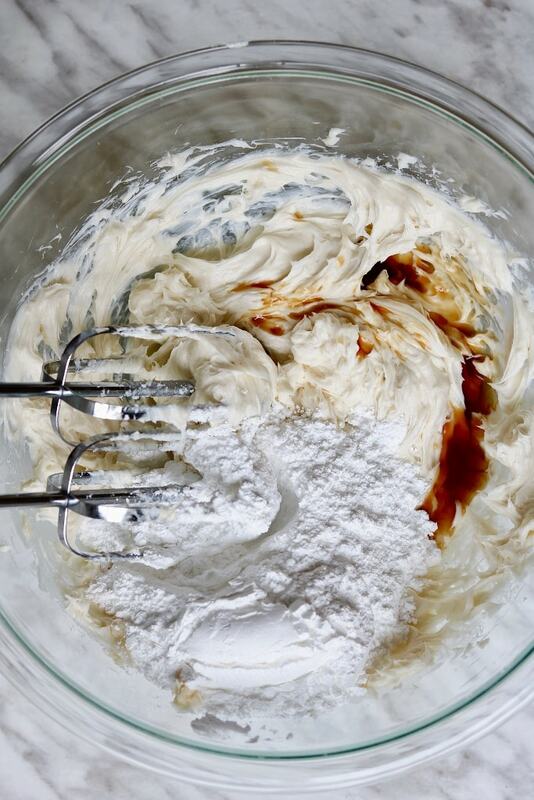 Before adding more powdered sugar, refrigerate the frosting for 15-20 minutes to firm up. If it is still not thick enough for your liking add another 1/2 cup of powdered sugar. 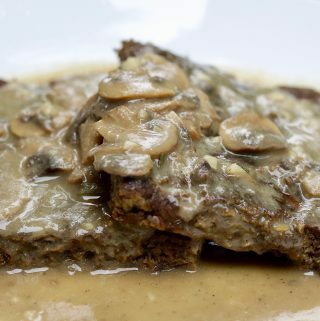 Perfect with so many tasty vegan desserts! 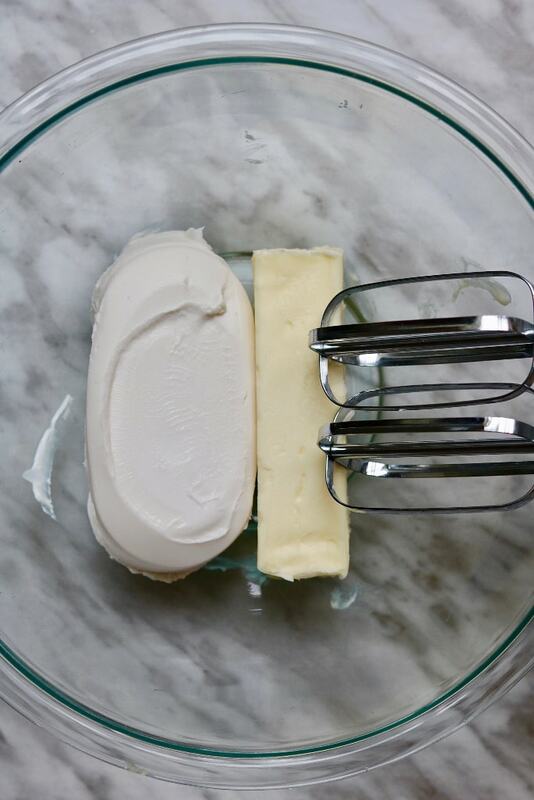 In a medium bowl, with your hand mixer on low speed, Cream the butter, cream cheese, vanilla and lemon juice until smooth. Next add in the powdered sugar 1/2 a cup at a time. Blend until smooth. Don’t over mix. Refrigerate for at least 30 minutes or until read to use. Frosting should be stored in the fridge and will keep up to 5 days. 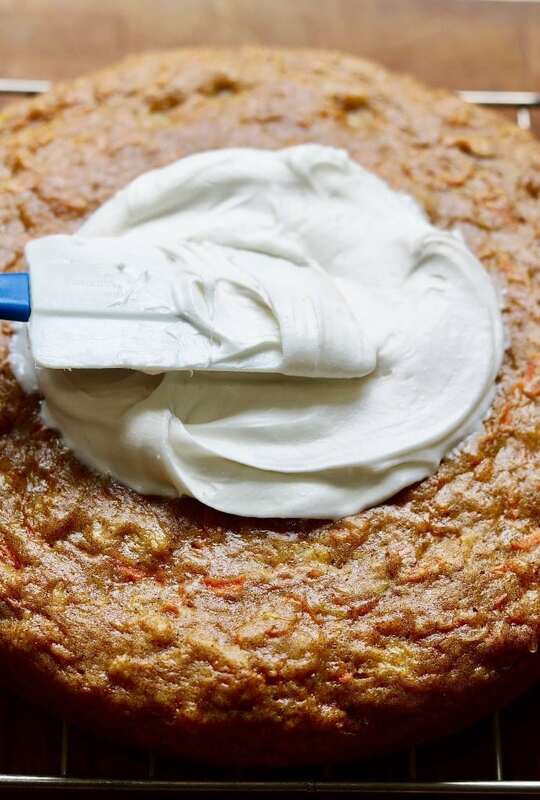 If piping the frosting: After making the frosting refrigerate for at least 30 minutes so it firms up, add to your piping bag and you’re ready to go. If your frosting is not thick enough: Before adding more powdered sugar, refrigerate the frosting for 15-20 minutes to firm up. If it is still not thick enough for your liking add another 1/2 cup of powdered sugar. It is super tasty😊 Thanks Cara!